Niban Shibori, meaning "second pressing." Ideal for the home cook. Multiple layers of flavor include orange, lemon, and tangerine. Complexity of yuzu offers versatility to build creative and sophisticated drinks, vinaigrettes, ceviches, meats, and desserts. Use whenever a splash of citrus is called for, and you'll soon be amazed by the wonders of yuzu! 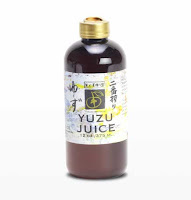 Yakami Orchard Ponzu is a base, not a ponzu sauce. The only unfiltered Ponzu on the market. 100% natural, with unique properties of yuzu zest, yuzu juice, mirin, rice wine vinegar, kombu, and bonito shavings. 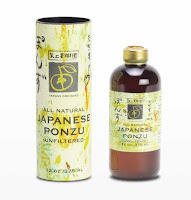 The perfect foundation for the addition of Takuko White Shoyu or Sashimi Tamari to create a delectable ponzu sauce for dipping, marinating, or as an ingredient in a recipe. Limited Beer and Whiskey "Pop Up"
We are starting a whiskey pop up now also. We have randomly selected 20 people from the top 400 in the WRC. When you check out at the register, a notice will pop up saying you can purchase a bottle of limited whiskey. If you are one of the lucky random people, you will be able to choose a bottle from a list of very sought after bourbons/whiskeys to purchase. The Bourbons will be very limited bourbons that we saved a bottle of or somebody did not pick up their allocation. There will be some exciting whiskeys available. Thanks very much as we continue to try to improve the release of these limited items and give people more chances. It does not matter which store you shop, or if you shop online, it is all the same system. The limited items are located at Forsyth though, so if you shop at one of our other stores, we will get you a list of what is available for you to choose from and have it transferred as soon as possible for you to pick up at your next convenience. We at WhistlePig believe that progress is not achieved by the complacent, it is won by the bold and tenacious. With these tenets in mind, we proudly submit the fruit of our progressive endeavors, the 12 Year Old World Marriage. In the spring of 2014, Master Distiller Dave Pickerell began a unique experiment on the WhistlePig Farm. After studying the best techniques of the Old World – particularly Scotch whiskies – Dave and the WhistlePig team paired bonds of 12-year-old rye with premium European oak casks – Madeira, Sauternes, Port, Cognac, and Sherry. After a series of single finish releases and extensive industry feedback, the 12 Year Old World is the product of a carefully selected marriage of three finishes that highlights their distinctive flavors to create an exceptionally balanced spirit. The 2015 San Francisco Spirits Competition Double Gold award winning Old World Series unites the bold attributes of rye whiskey with the grace and elegance of the finest European casks, yielding an ultra-premium straight rye, distinctly American, but hearkening to its stately Old World roots. 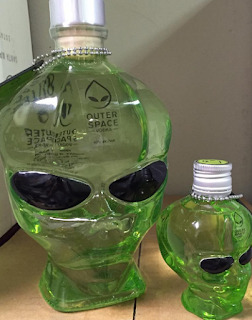 Filtered through meteorites more than 4 billion years old, this US vodka is produced from Iowa corn and gluten free. Outerspace Vodka will turn heads this holiday season with its highly distinctive packaging, available in both 750ml and 50ml sizes.Congratulations to Outerspace Vodka for winning a Gold Medal at the 2016 SIP Competition! This UNFILTERED Belgian-ish Wit-ly-esque-ish-ness brew features a dry twang of hoppy bitterness and is perfect for the summertime drinking! 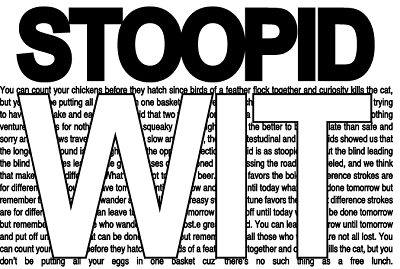 e Bard said that it's better to be a witty fool than a foolish wit. True dat. Wit dat in mind we take you now to the stoopid side of the classic wit on the wings of Yakima's finest. What's it got to do with beer? Give us a call. 707.769.4495. Cheers! A big Ol' Imperial Brown Ale to help you with your slipperly slide on into springtime. Rich, smooth, dangerous & chocolatey. "In the murky realm of things that make you go "Hmmm..." 2010 should rank way, way up there. From the curious per curiam decision of 531 U.S. 98 in 2000, to WTC7, to the House of Lehman, to the Nobel President's Afghan Expedition escalation, to the oxymoronic Jobless Recovery of 2010; we have been confused. So, we did the only thing we could, we made beer and lots of it. 5,643,420 cases of it to be exact. And as far as we know, you drank all of it. Thank you for that, because if you had not, we would have been looking for a bailout of our own, and we haven't heard about any breweries either needing or receiving any of those spicy Yuan TARP dollars....although we have rad that the Las Vegas adult video industry did. Nobdoy knows why. 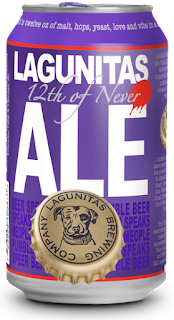 So, in a wolrd that is once again the proverbial "Ball of Confusion", craft beer alone seems to carry its own weight. It's nice to be on the winning team and thank you for your patronage and imbibiliciousness." 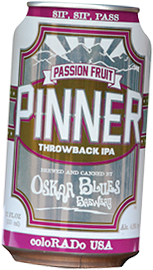 Passion Fruit Pinner takes the flavors of passion fruit & citrus juice of the original Pinner Throwback IPA and turns them up to 11. 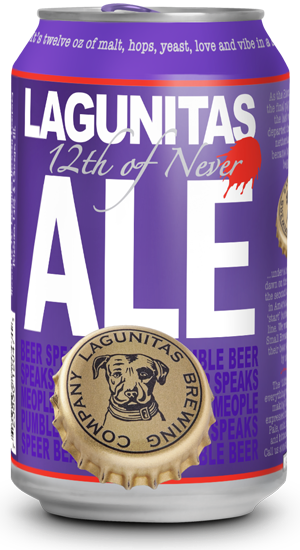 The clean malts, with hints of toasted biscuit pair with zesty hops to spice up the taste and aromas from pureed Passion Fruit and a small spike of pureed Blood Orange. We have a decent amount, but still could go fast. 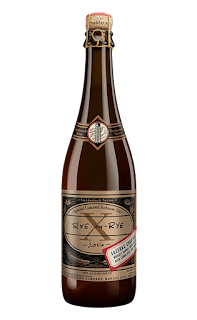 Inspired by the success of our "X" series of special Imperial Stout releases, we've embarked on a journey to the outer reaches of our popular Rye-on-Rye. 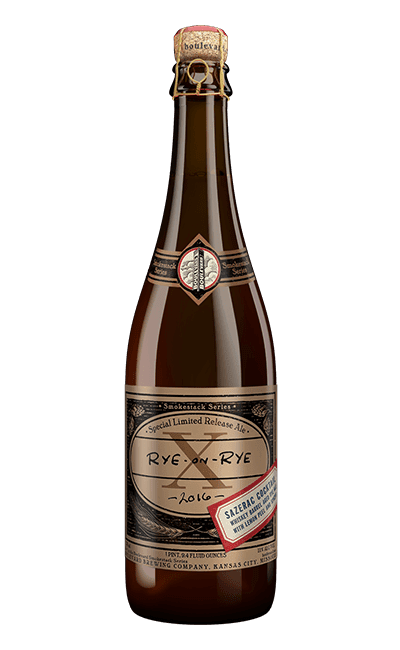 For the first Rye-on-Rye X release, Rye-on-Rye-on-Rye, we transferred our huge tawny rye ale from its first set of aging barrels into freshly emptied Templeton Rye barrels effectively creating a double barrel aged ale that showcased giant rye whiskey and barrel character. For the second Rye-on-Rye release, we drew inspiration from the famous New Orleans cocktail, the Sazerac. The official recipe is composed of rye whiskey, absinthe or Herbsaint, a sugar cube and bitters all garnished with a lemon peel. To translate this classic cocktail into a beer, we brewed batches of the base rye beer that received spice additions mimicking bitters as well as lemon peel during the boil. The resulting wort was fermented with our house Scottish ale yeast before being aged in freshly emptied Templeton Rye barrels. Belgian Ales represent the height of the brewers' art. 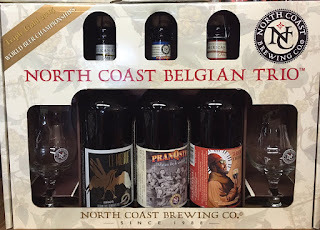 Sophisticated brewing techniques, yeast blends and unique flavoring elements have elevated the beers of Belgium to the status enjoyed by wine in other countries. 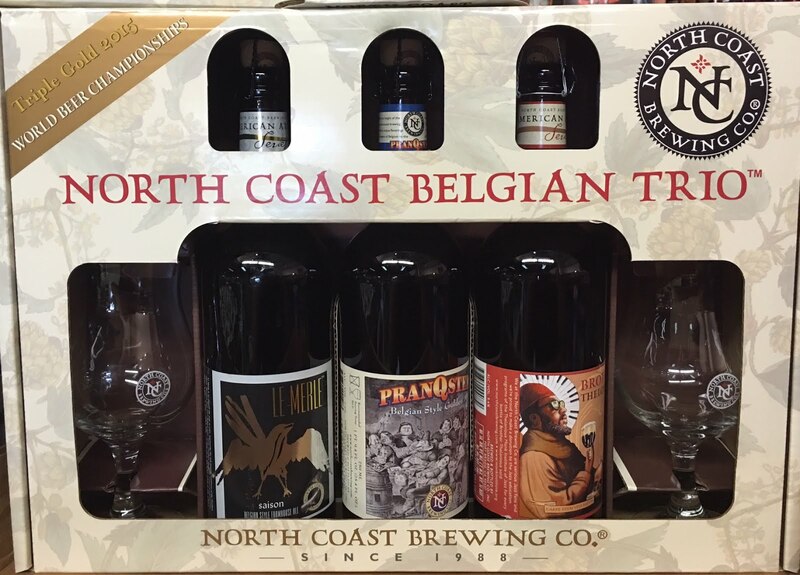 North Coast Brewing Co. is proud to partner with the Thelonious Monk Institute of Jazz in support of Jazz education. The Brewery makes a donation to the Institute for every bottle of Brother Thelonious Belgian Style Abbey Ale sold. Yes, for a 12 pack (ignore the picture)- that breaks down to only $5.50 for 6 bottles. 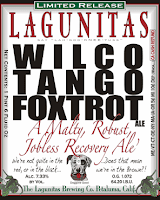 Hot summer nights, jam out to the cooling waves of Heavy Melon Ale, our newest seasonal track. 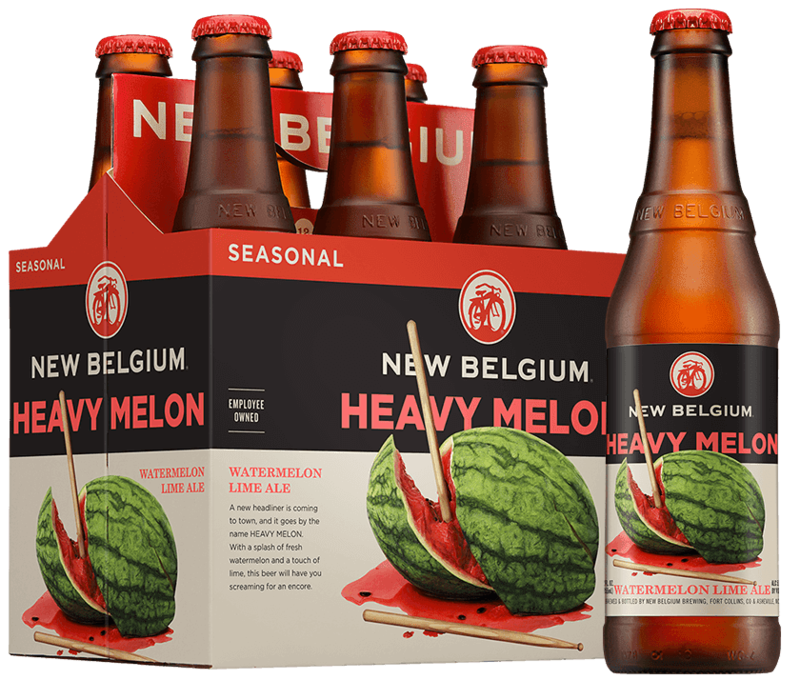 Brewed with juicy watermelon and zesty lime peel, this crushable ale rips with a blast of melon notes. 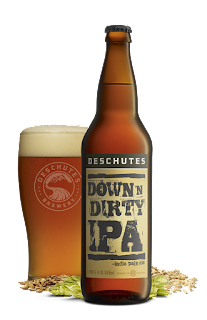 Ripened fruit aromas of melon, papaya and citrus climax with an enticing aroma, and set up an invigorating wash of fruity sweetness, grassy bitterness and the slightest touch of tartness. Super crisp and refreshing from start to finish, Heavy Melon Ale shreds through the summer heat. The lime peel is best added in the boil to extract all those essential oils. The watermelon is added in fermentation to capture the delicate fruit flavors, and to ferment all those sugars.